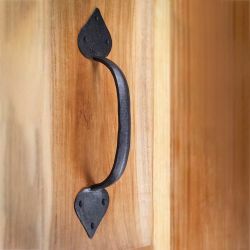 Forged iron door pulls are individual hand forgings, resulting in completely unique pieces. 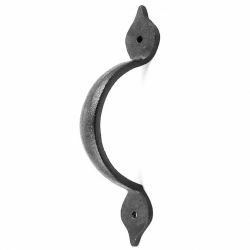 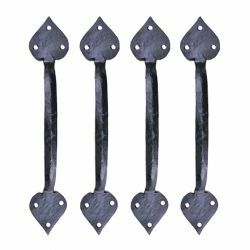 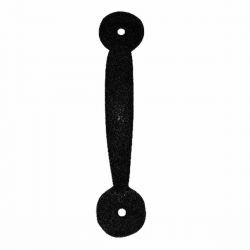 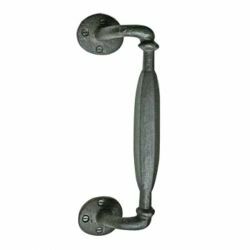 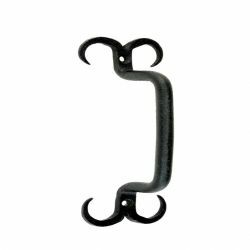 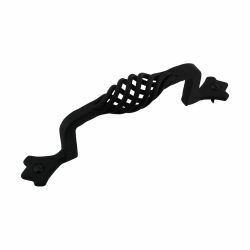 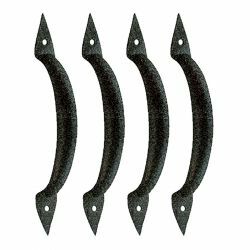 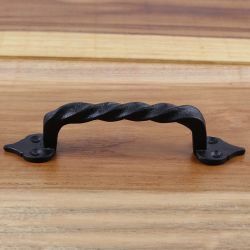 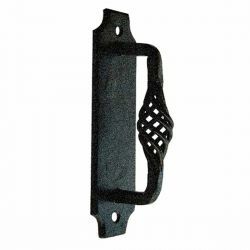 Gate pulls, iron door pulls, iron cabinet pulls and black wrought iron drawer pulls, are a few examples of wrought iron pulls for doors, gates, and cabinets, which come in different styles such as Colonial, Country, Victorian and Mission, and are available in many sizes as well as in sets. 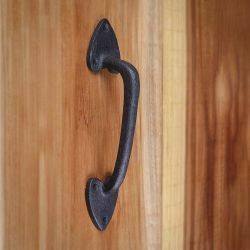 No two pieces are exactly alike, adding to the rustic effect. 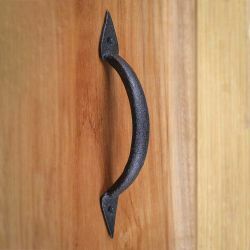 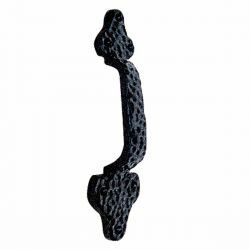 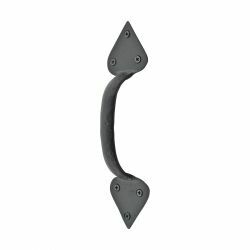 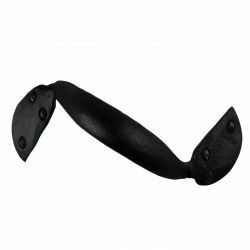 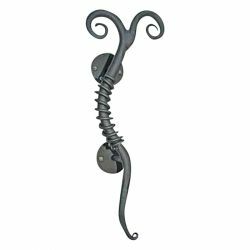 Wrought iron door pulls, iron cabinet pulls, wrought iron drawer pulls and other wrought iron cabinet hardware add distinctive appeal to any cabinet, regardless of material. 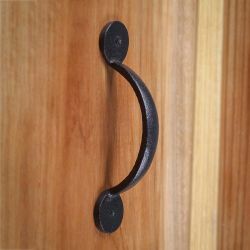 The finest interior decorators and designers accent the bathroom, gate and doors with decorative wrought iron pulls to create a particular feel in a home’s decor. 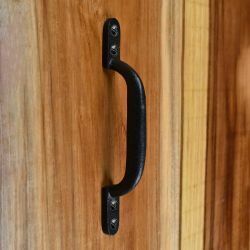 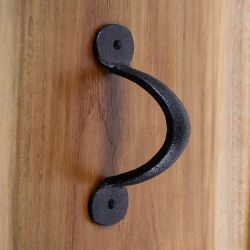 Wrought iron pulls are able to be created in many traditional designs such as: Craftsman, Colonial, Country, Victorian, and Rustic, in a variety of sizes and finishes to fit your exact needs and decorating style. 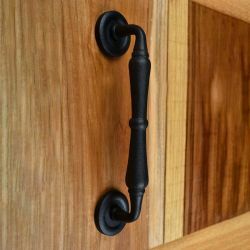 Some of our wrought iron cabinet, door and gate pulls have the same texture and style to match existing wrought iron hardware pieces.